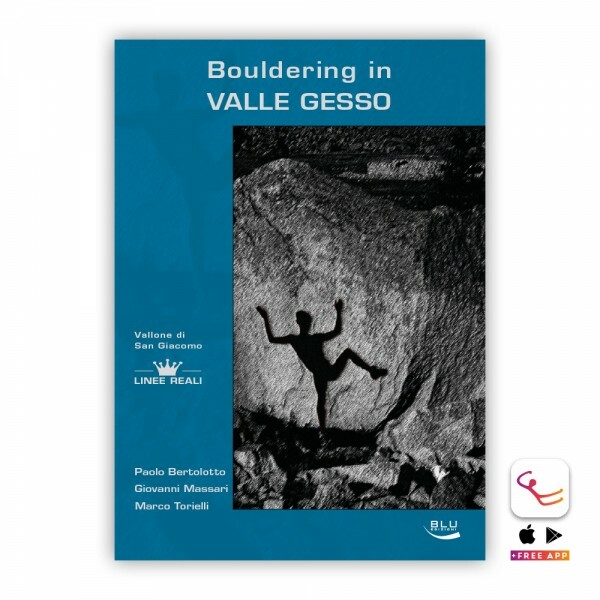 Product information "Valle Gesso: Bouldering Guidebook"
This guidebook exclusively focussing on bouldering describes the area of Vallone di San Giacomo. It contains more than 500 boulder problems on several relatively small blocks that are all signed on full color photo topos. From beginners to experts, everybody will find lots to do. Especially interesting for beginners is the fact that there are almost no dangerous falls. Rock type is predominantely gneiss. On the first pages of the book you will find a table with the most important terms also in German and English which should rule out any problems using the guidebook otherwise entirely written in Italian. Several maps and useful information is featured in the guidebook as well as a short introduction on history of climbing in the area. Best season in the area is spring and autumn, in summer better head to the higher lying boulders or wait for the cooler evening. Related links to "Valle Gesso: Bouldering Guidebook"
Customer evaluation for "Valle Gesso: Bouldering Guidebook"